Famed duck director Steven Duckberg dicusses the best way to shoot Duck Satriani’s music video with Duckie D.P. See a picture captured from the shoot on flickr. A nice day to hang out on the stoop. Manhattan Baby Doll (Hattie for short) hung out on the stoop with some lucky ducks today because the weather was so nice. 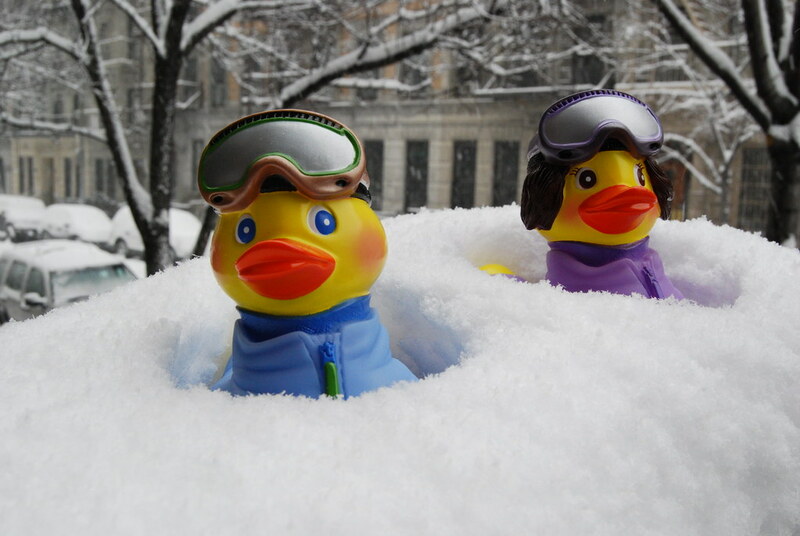 What a wonderful day it has been for the ducks. They were featured on Crave! Crave is a blog “about gorgeous gadgets and other crushworthy stuff.” All 333 ducks quacked with excitement. 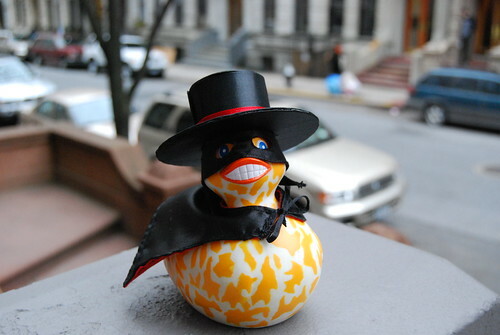 Hey, that’s not Zorro Duck! 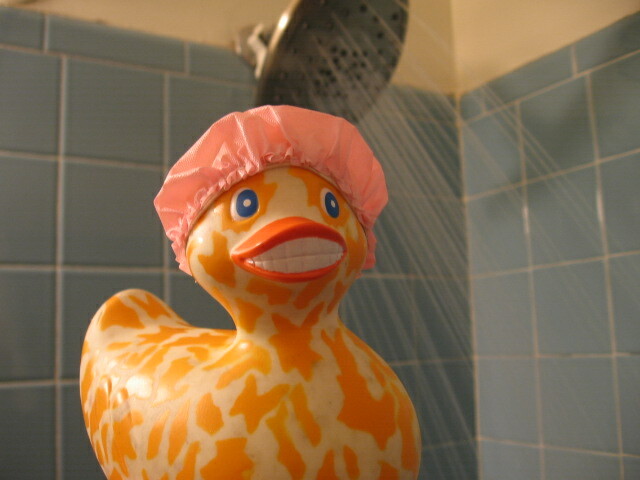 Who is that masked duck?…..With that cheesy smile, it can only be one duck….Cheese! Now, if we could only get some spring weather. This iconic parody photo inspired by the movie American Beauty has appeared in mags and sites all over. Full disclosure: Only two dozen roses were harmed in the making of this rubber duck photo. Can I help you enjoy that Snickers Bar?